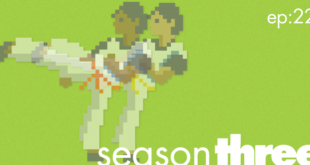 We live in a time where entertainment can be made available to us at the push of a button. Some might say that the streaming giant Netflix is leading this charge with its plethora of choices and content. With great programming like Stranger Things and House of Cards, it’s hard to deny the impact they have in this category. But what happens when they go beyond just programming? 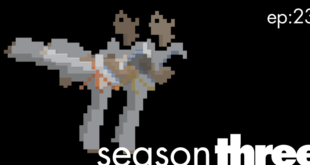 What if Netflix added to the experience with more synergy in their entertainment? 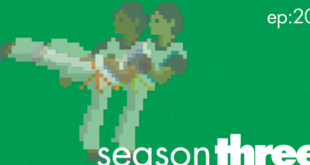 Goodbye Netflix and Chill. Hello Netflix and Beer! Designer and artist Razan Wehbi has conceptualized this idea perfectly. 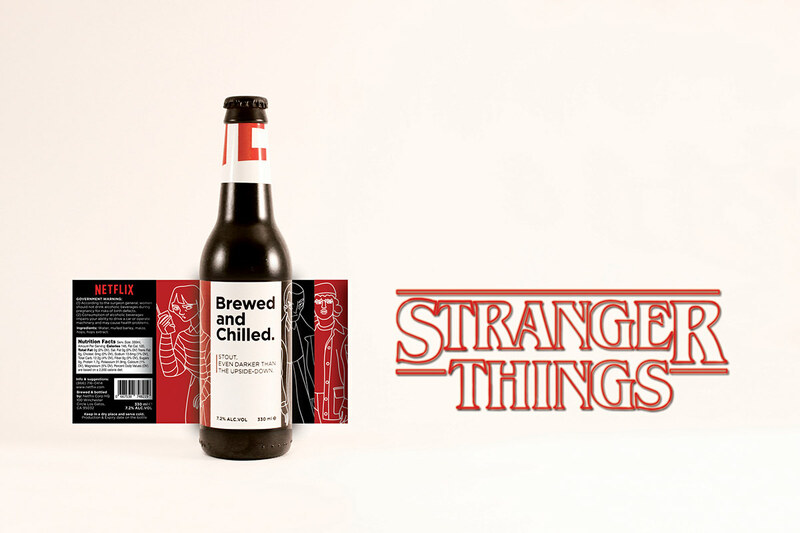 She’s brilliantly created three beer package designs, each with a theme for three Netflix Original shows. Wehbi went with House of Cards, Sense 8, and Stranger Things for this idea. We love the packaging that she’s crafted for each of the shows, not to mention the cleverness of her taglines she created for each. 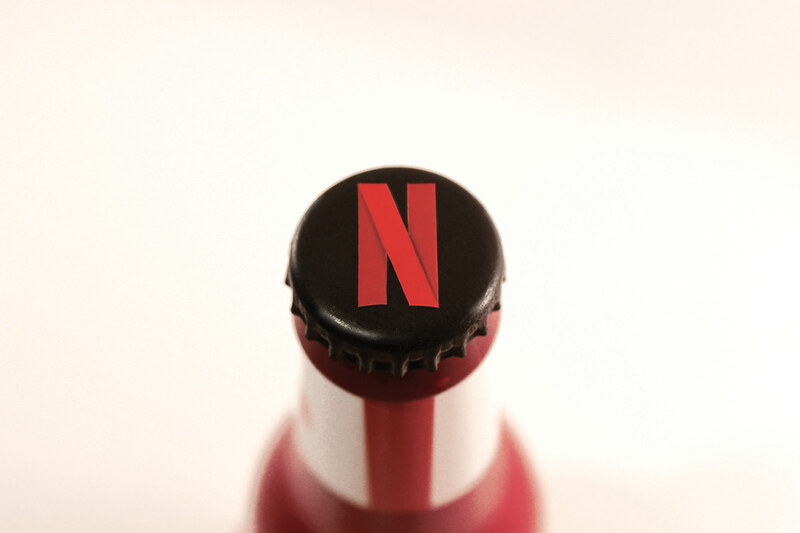 Thinking about heading out to the store to grab a 3-pack of the Netflix brew? No so fast, fans. While she certainly knocked this out of the park, alas it was only for a school project. 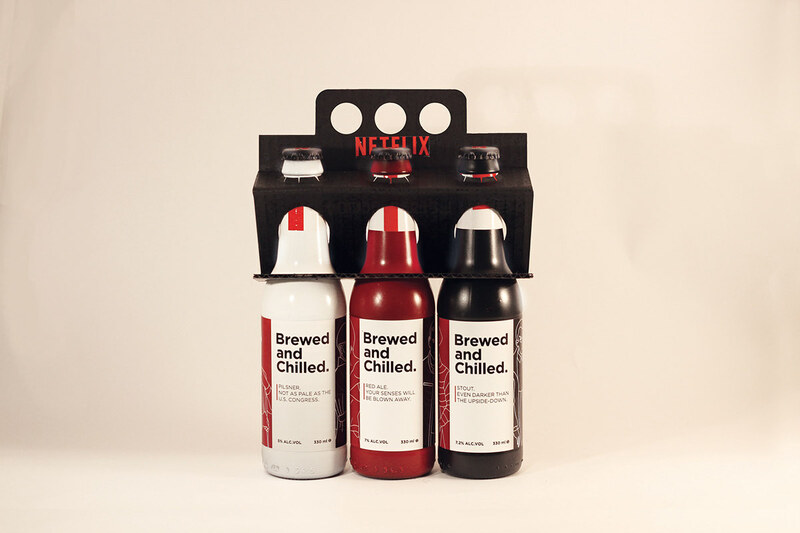 However, if Netflix ever decides to go into the beverage market, we think they should really give Wehbi a call! 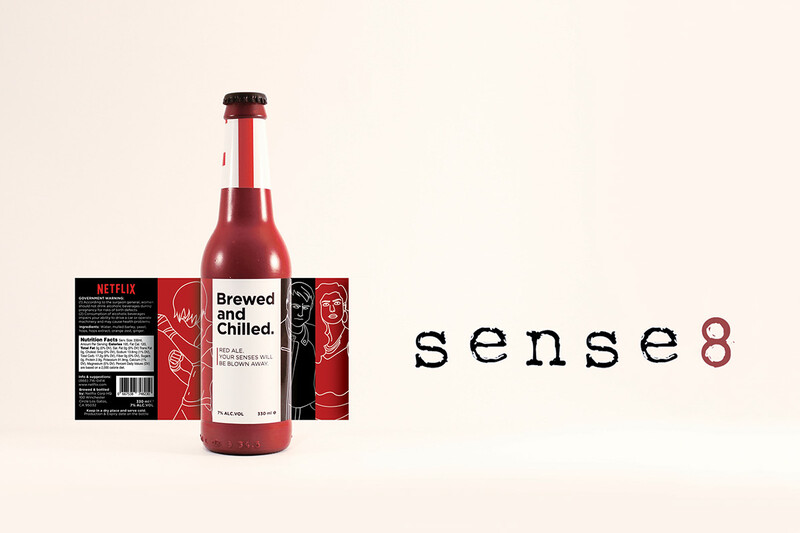 Per Razan Wehbi — This is for a university project where we were briefed to choose a brand and then design a package for an edible product that would fictionally be produced by that brand. 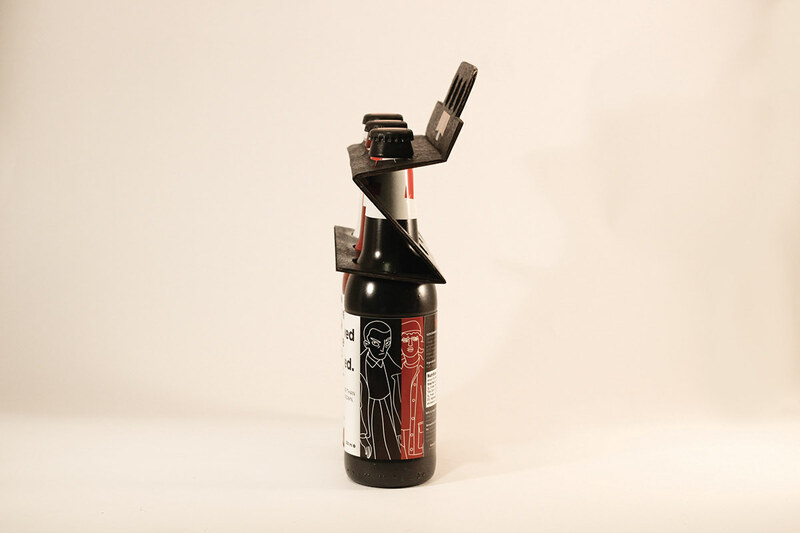 The package design had to adhere to the brand’s image while also maintaining product recognition. I chose to design a beer family for Netflix that includes Pilsner, Red Ale, and Stout. 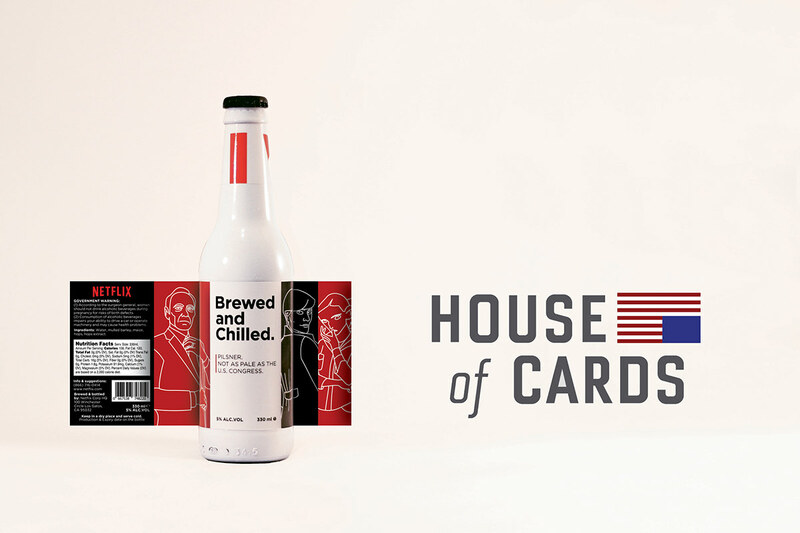 Each one of the beers has a series of illustrations of characters that appear in Netflix Original series. The tagline for each beer is related to that series as well. The three pack holder alone is worth the post! Seems like a much better alternative to plastic, and I’d love to grab two 3 packs rather than committing to a 6 pack.